AKA the dirtiest thing ever. 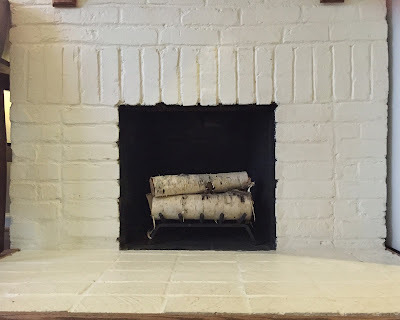 I posted this shot right after we moved in, which shows our cute little white brick fireplace. Yes, the bricks in front were dirty, but I didn't realize just HOW dirty until I decided to go at them with a sponge and some dish detergent. Ugh! Check that out! I had to have D take a progress shot because it was so unreal to me. After a solid scrubbing, I thought I'd go back over everything with bleach and a toothbrush, but instead I decided just to paint over it. 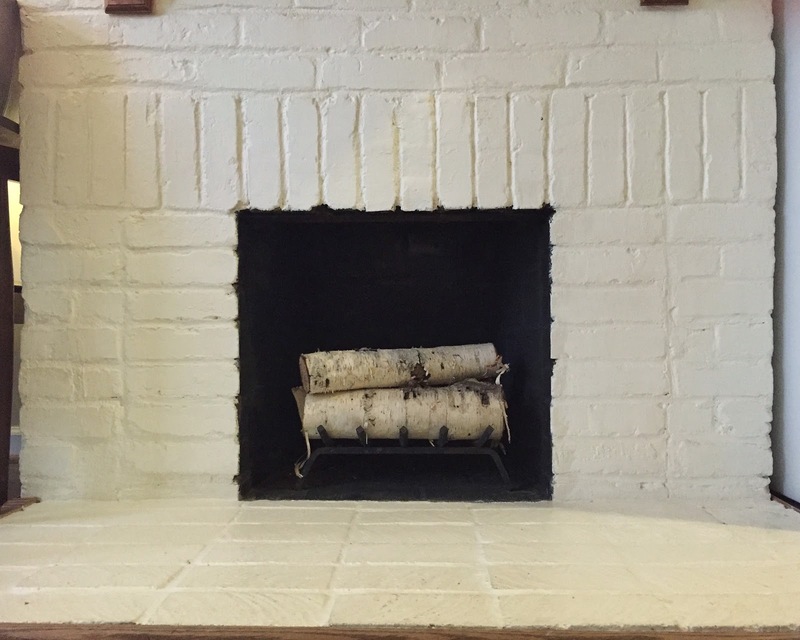 My scrubbing actually tore up a few small specks of paint (you can kindof see the black holes on the right side of the fireplace in the photo above), so it needed to be touched up anyway. Our landlord brought over a fresh can and I got to work. Now it's all shiny and new. I don't think I realized what a big change sprucing this up would make. It's so much brighter in the room now, and more of a focal point. D and I realized that the firelight flickers off of the smooth service in the evenings, and looks lovely. Yay for cleaning!